Every month there are new, entertaining slots being released with features that are getting more advanced, bringing new levels of excitement. Even though the slots are evolving, they are more or less all based on the same type of symbols, which makes it really easy for you to learn and get to know a new game as long as you just know these different types. In this article we will therefore present and thoroughly describe the type of symbols that you’re likely to come across. This includes the most basic, paying standard symbol, a wild symbol that replaces others, a scatter symbol which can trigger exciting free spin modes and a bonus symbol that brings you entertaining bonus games, which are usually where the biggest wins are lurking. This is the most basic type of symbol which you’ll come across in all type of slots. These are the symbols that pay out money when a winning line is hit. The least valuable ones are in modern type of slots usually represented by playing-card icons such as an Ace (A), King (K), Queen (Q), Jack (J), Ten (10) and Nine (9), or by the card suits Hearst, Spades, Diamonds and Clubs. 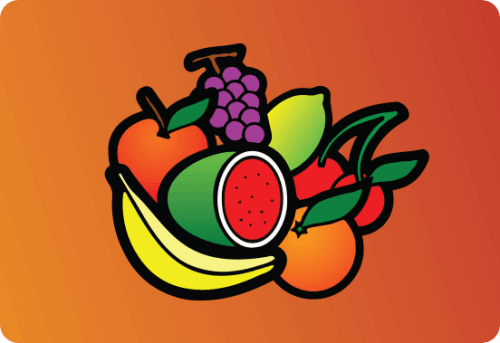 In retro and classic type of slots these low value symbols are however more commonly represented by fruit symbols, such as Cherries, Oranges, Melons, Lemons and Grapes. Along with these low paying symbols you’ll find that the slots also have standard symbols with a much higher value. In the retro and classic type of slots these are usually represented by the number Seven, a Diamond, a Bell and a so called BAR-symbol, whereas the design of the symbols in modern ones varies a lot from one slot to another. This is because the symbols are usually designed to fit the slot’s theme. If you’re playing a slot with an underwater type of theme, the high paying symbols could for instance be represented by colorful fishes, treasure chests, sunken ships or anything else that would fit that theme. It also happens that the low paying symbols, like Hearts, Spades, Diamonds and Clubs have received a unique touch to their design just to fit the theme as well. Typical for standard symbols are that they don’t have any other function than giving you a certain amount of money when enough appear in a row, on a winning line. Sometimes two symbols are enough to win and sometimes three or more are needed. Usually a winning line can only be made from left to right on the reels, but in some slots you can win from right to left as well. Starburst is for instance a popular game where winning lines can be made from both directions. 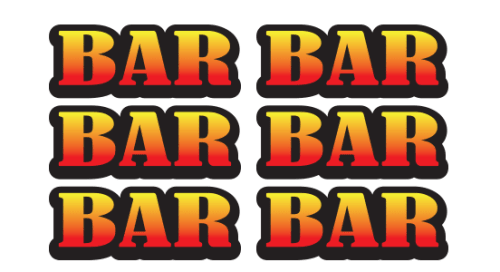 In some slots that you play, you’ll find that there are no reels or paylines at all, but winnings are paid out when enough symbols appear in adjacent clusters. Next to the standard symbols, wild symbols are the most common type of symbols you’ll come across. You won’t necessarily find one in all slots, but if you’re playing modern ones it’s quite rare not to find one. The wild symbol replaces other symbols when appearing on a winning line. Should you for instance have a symbol of the playing-card icon Ace (A) on the first and third reel, a wild symbol on the second reel could represent an Ace, hence creating a winning line of three Aces and giving you a payout, provided that they’re lined up on an active payline. Usually the wild symbol may only replace standard symbols, but in some slots other symbols can be replaced as well. As slots have been evolving, there are nowadays several different types of wild symbols that you may come across, such as walking wilds, expanding wilds and multiplier wilds. When a walking wild symbol appears on the reels, it will stay and then move one position for every new spin. Depending on the game, the wild will either move one position to the left, the right or even up or down until it’s no longer left on the reels. 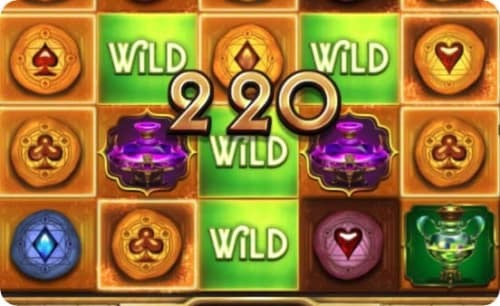 Expanding wild symbols will cover the whole reel that they appear on with wilds, whereas multiplier wilds will increase the amount won for the winning lines it’s a part of. It could for instance be that the won amount is multiplied by x3 if a multiplier wild symbol is a part of the winning line. Sometimes wilds can have several different qualities, such as being both walking and multiplying. 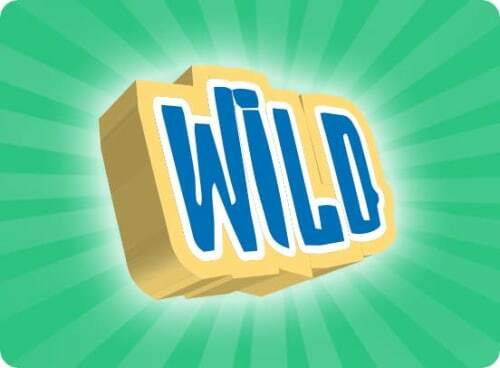 In addition to the wilds mentioned above, there are several other types of wilds you may come across, but these usually only appear as special features in a free spin mode or bonus game. 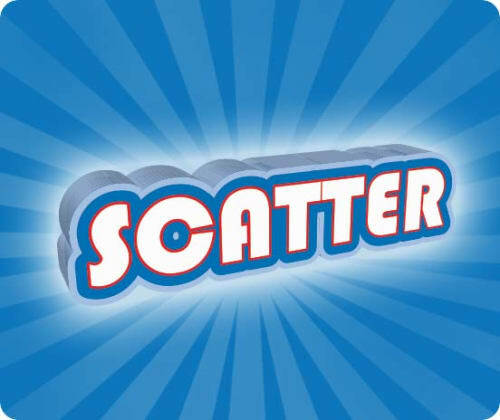 The scatter symbol, which is one of the best and most anticipated symbols, usually have two functions. Just like the standard symbol, it usually pays out a certain amount of money, which can reach quite high amounts if enough appear. Even though it’s quite an uncommon symbol, it has its advantage of usually not having to be a part of a payline, but as long enough appear anywhere on the reels you’ll hit a win. It could be that the scatter symbol triggers other type of special features than free spins, but usually there’s a certain bonus symbol that does that, which you can read more about below. Just like the scatter, the bonus symbol is a highly anticipated one as it triggers some type of bonus game, which is where the big wins are usually lurking. In retro and classic type of slots these symbols are quite rare, whereas they are very common in modern ones. As slots have been evolving, these bonus games can be extremely entertaining and very creatively designed to match the slot’s theme. Unlike the scatter, the bonus symbol usually doesn’t pay out any money and normally there are no more symbols that can appear than what is needed for the bonus game to trigger. Of course there are always exceptions to the rule and in the slot Mega Fortune it is for instance possible to get a bonus symbol on all five reels even though three are enough to trigger the bonus and despite the fact that hitting more doesn’t give anything extra. 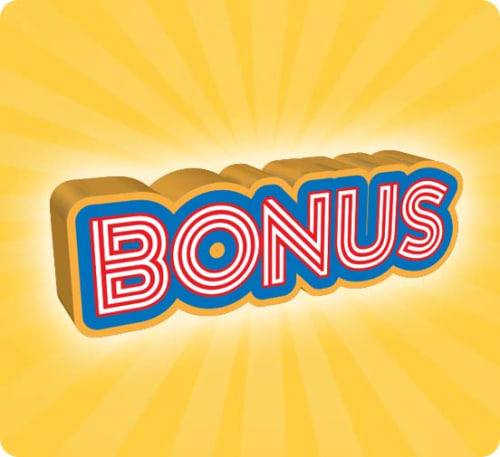 In some slots the bonus symbols need to appear in a row from left to right on a an active payline to trigger the bonus, whereas they in other slots can appear anywhere. Sometimes you’ll find that the symbol can only appear on certain reels, such as the first, third and fifth. When trying a new game it’s always recommended checking out the different type of symbols and how they work. That way you won’t get disappointed if a bonus game didn’t trigger even though the symbols appeared on the exact same positions as another game you’ve previously played. It’s also way more entertaining knowing what symbols pay out the most and how the bonus game or free spin mode is triggered. You’ll then notice every time something big is about to happen and get that wonderful feeling of thrill and excitement. As most slots have the same type of symbols as explained in this article, it’s very easy to find out what type of exciting features are hiding in every game. Therefore we highly recommend always taking a few seconds reading through the game information. We promise that the big wins will wait for you!